Recently, I’ve been revisiting the books, movies and TV shows that were the objects of my complete and all-consuming love as an awkward and gangly pre-teen with a few friends. I’m not sure what prompted this emotionally (and physically) laborious process of digging out my slightly mildewy Percy Jackson copies, or sitting through the over-the-top but still glorious drama of 2000s classics – I think I just like the bitter-sweet wistfulness of reconciling with a younger, sillier self. The cult-favourite TV series Gilmore Girls was naturally high on my list. The show ran for seven seasons between 2000 and 2007, and a Netflix spin-off called Gilmore Girls: A Year in the Life aired in 2016. 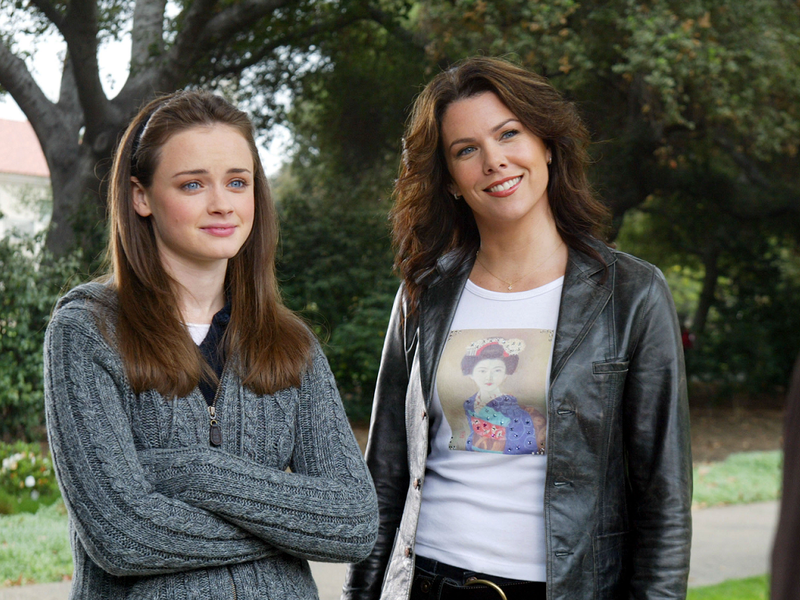 Set in the charming and tight-knit fictional small town of Stars Hollow in Connecticut, it followed the caffeine-fuelled escapades, falling-outs, romances, and ambitions of single-mother and daughter duo, Lorelai (played by Lauren Graham) and Rory Gilmore (played by Alexis Bledel). While re-watching the episodes, each one narrowing in on the little conflicts of everyday life and growing pains, I was re-acquainted with an old niggling desire to be someone else, to be somewhere else, or just to be more. I’m no longer 11 and unsuspecting, but the sentiment still hit me pretty hard. Of course, it can (somewhat) be rationalized now: I ached for a life similar to the one I saw onscreen, to bathe in the mellow and seemingly-always-smelling-of-baked-goods atmosphere of a town like Stars Hollow, where everyone knows everyone and the sweet, wide-eyed, and intelligent Rory is adored all around. It’s undeniable that Rory’s entire storyline reeks of unaddressed white and financial privilege. Rory’s character was 16 when the show premiered – just old enough for a middle-school me to internalize her as some kind of template to one-day tailor myself into. There was nothing really reprehensible about looking up to a girl like Rory – she came across as studious and kind, nearly always with a staggering pile of books in hand during the first couple of seasons. We watched her breeze through a number of achievements – attend a fancy prep school called Chilton, make the student council, be accepted into a number of eminent Ivy League schools later on, and finally attend Yale University, where she snags the coveted role of editor at the Yale Daily News. The problem is, many of us grew up with Rory Gilmore, yet the show isn’t too generous when it comes to showing us how she got to where she is – there are hardly any scenes that realistically portray the anxiety-ridden and sleepless grind that being such a polished student necessitates. In fact, the images of pre-Yale Rory that have stuck with me over the last few years are the bright and glossy ones of Lorelai and her eating pancake stacks at the local Luke’s Diner, the spontaneous shopping trips they’d often take, or not to mention the many, many movie nights with prolific amounts of pizza and Woody Allen films. Rory’s life may have been stacked with implausible scenarios, but I was just young and simple enough at the time to welcome these sky-high standards with open arms, and years later I still find myself wondering, “Where was my Rory Gilmore moment?”. In a VICE article by Koty Neelis, Rory is dubbed the “Poster Child of White Privilege”, and quite accurately so. While any viewer’s first instinct is to be protective of Rory, especially those of us who’ve graduated from teenage to adulthood with her, it’s undeniable that her entire storyline reeks of unaddressed white and financial privilege. Lorelai’s parents are introduced as the affluent and wealthy high-society couple Richard and Emily Gilmore, who, though thought of as overbearing and pretentious by their daughter, have always engulfed Rory with support, whether it was paying for her expensive education at Chilton prep and Yale, using their notable contacts to line up incredible opportunities for her, or just plain loving her unconditionally. Lorelai and Rory are seemingly oblivious to their privilege, as they continue to live in their cosy, humble home at Stars Hollow, with Lorelai constantly disparaging and using her parents as punchlines for jokes, except when she could use some money. Emily Gilmore is the fiercely stubborn matriarch of the household, and when she isn’t fussing over floral arrangements or attending charity board meetings, she’s hosting the obligatory Friday-night dinners for Lorelai and Rory. These dinner scenes are humorously characterized by evening martinis, Lorelai’s wisecracks, her mother’s disapproval, and the less than humane treatment of the maids that meekly scurry through the background with dinner plates. Over the course of the show’s seven seasons, around 58 maids flit in and out of the Gilmore household, seemingly fired almost as quickly as they are hired. Most of these maids were Latinas and other women of colour, and seemed to be petrified of Emily, who almost never bothered to learn their names, was scorching in her criticism of their service, and clearly thought of them as disposable. Emily’s derogatory treatment of the help is consistently used as a comedic device by the writers, and just nimbly enough that we question whether it’s part of a satirical commentary on old wealth and high society, or just unintentional classist ignorance. Emily’s derogatory treatment of the help is consistently used as a comedic device. The entire premise of Gilmore Girls is recognizably saturated with white feminism, with barely any people of colour featured in the main cast, and bits of casual racism stuffed in-between the famously distinct snappy and fast-paced dialogue exchanges between Lorelai and Rory. Obviously one shouldn’t expect much from the early 2000s setting of a small town, but the stereotypical depictions of minorities on the show leaves one wanting. For example, Mrs. Kim, the mother of Rory’s Korean-American best friend Lane, fits snugly into the predictable and lazy role of a “Tiger Mom”, and is antagonized for forcing her daughter to live like a hermit. The stark difference between the character arcs of Lane and Rory always disappointed me, since Lane eventually rebels against her mother, joins a rock band, and ends up pregnant at 20, all while Rory attends an Ivy-League and travels the world as a journalist. There isn’t anything particularly wrong with Lane’s final situation – she ends up staying in Stars Hollow with a stable home and family – but she has to go through the gruelling process of breaking ties with her mother and heritage to pursue her dreams. On the other hand, Rory, though hard-working, had everything fall smoothly into place for her. Unsurprisingly, there was also no brown representation on the show, unless you count the exoticizing allusions of India as a third-world country and archaic mocking of desi accents that were present here and there in the script. I think the decision by the show’s writers to have their predominantly white cast frequently reference far-away cultures and countries was an attempt at seeming worldly and liberal, but it falls flat. So with no Indian characters to identify with, I would silently root for Lane through all her dreams and family scraps, and to see her hardly live up to her exciting potential – though just as talented and passionate as Rory – was especially discouraging. Slender and shapely bodies have always been normalized over others during the show’s course, but even more toxic is the hundreds of scenes of Lorelai and Rory eating Chinese takeout and donut breakfasts, but they somehow stay virtually the same size. Though their unreal metabolic rates are just ridiculous to witness now, I remember sizing my own body and femininity up to the ones onscreen, and consequently punishing myself every time I fell short. To see Lane hardly live up to her exciting potential – though just as talented and passionate as Rory – was discouraging. The cultural phenomenon of Gilmore Girls is astounding in its reach: people want to wear preppy plaid skirts and army jackets like Rory, be bursting with witty pop-culture references like Lorelai, and muster the same kittenish “will-they-won’t-they” vibes in their interactions with attractive men. The most un-ironically ludicrous (and kind of worrying) desire I’ve encountered yet is a strange wikiHow article on how to physically transform yourself into Rory Gilmore, which only includes popping in a pair of bright blue contacts and dying your hair brown. It wasn’t my intention to magnify every problematic creative decision on the show – although they are too abundant to be ignored – and consequently take away from its wholesome, feel-good romance that so many come back to. 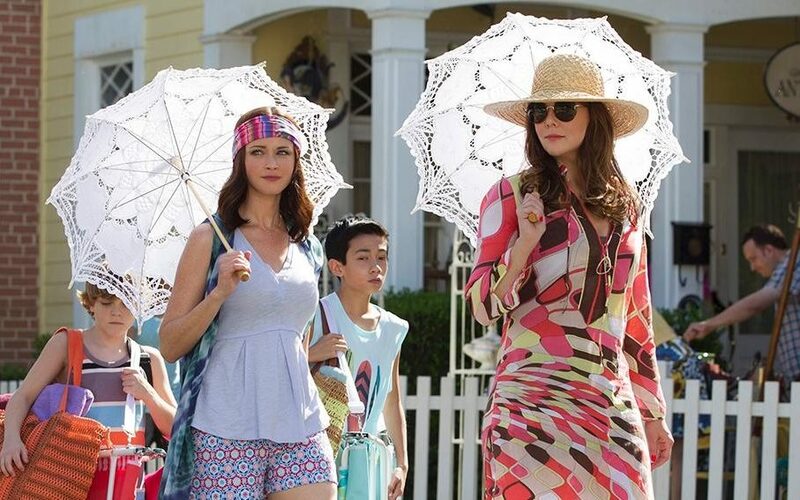 I’ve always fondly thought of Gilmore Girls as the TV equivalent of comfort food, so waking up to its problematic truths wasn’t what I hoped would happen when I began re-watching it, especially since I think the show leans into a category of TV that should purely entertain, whether this entails you laughing, crying, being angry – whatever falls in the realm of natural emotion, really, but not more. Still, if there’s anything I did learn from Rory Gilmore’s journalism, it’s to question everything. Previous article﻿जेंडर के ढाँचे में ढलने को कब तक मजबूर रहेगा युवा ? Another Cyber Cell Established In Noida, But Will That Help?